Review: E.L.F. Hydrating Water Sheet Mask...!!! Hope your week and new year is off to a great start. E.l.f. 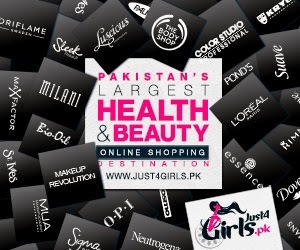 Cosmetics recently launched its new range of skincare products in Pakistan. I have already tried and reviewed e.l.f. Daily Face Cleanser and I loved it. My skin gets dry in winters and the face cleanser really helps me with the dryness issues yet leaves it clean and oil free. After the face cleanser, I tried e.l.f. 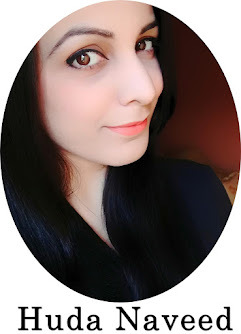 Hydrating Water Sheet Mask and today I am sharing my thoughts on it. 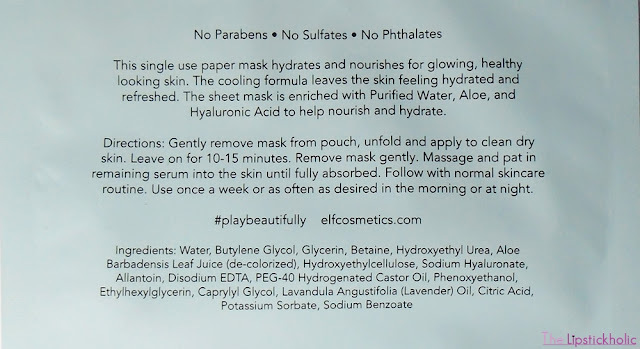 So let's get to the post to read my review on this new hydrating water sheet mask by e.l.f. Since the name already tells, its a sheet mask and comes in aqua blue pack. Each pack contains one sheet. Ingredients and directions to use the mask are mentioned on back of pack. This mask contains no parabens, no sulphates and no phthalates which is a huge plus. To use this mask, I carefully followed the directions mentioned on back of the pack. Luckily, I experienced no tearing of mask while removing the paper sheet mask from packing. The mask is made of fine paper sheet and applies easily on face. I felt a minty and cold sensation when I applied it on my face. When I removed the mask after 10-15 minutes, there was still a lot of serum left on my face from the mask sheet. I gently rubbed the remaining serum on my face. However, I still felt the need to wash my face afterwards. After washing the face with just water and no face cleanser my skin felt so soft, fresh and well hydrated. It didn't feel oily or greasy but just hydrated enough. This mask really hydrates the skin well and the hydration lasts long. It has been 2 weeks since I have used one e.l.f. hydrating water mask sheet and my skin still feels hydrated and smooth without any dryness or dry patches. I don't even feel the need to use my regular moisturizer now. Although this mask doesn't make the skin oily or greasy but I would still say its not suitable for those with oily skin as it is very moisturizing. 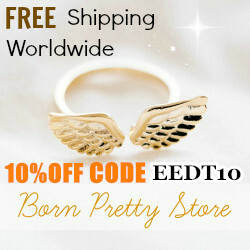 Price & Availability: E.l.f. 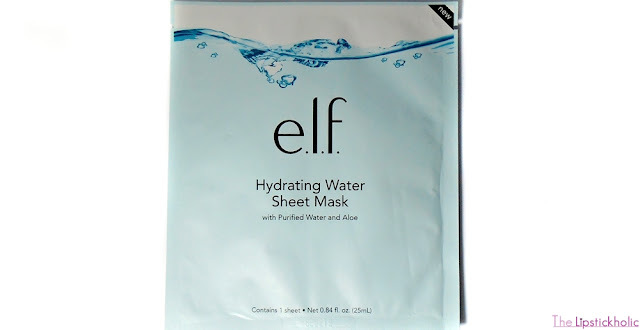 Hydrating Water Sheet Mask is available online at Elf Cosmetics Pakistan website for PKR 699/- for a single sheet mask. For more information on the brand and its latest launches in Pakistan, Join Elf Cosmetics Pakistan on Facebook. Oh wow Huda thank you so much for this review. My skin is extremely dry in winters. And I am definitely going to get this sheet mask. Great review. Sounds great, for how long does the effect lasts btw? For me it was 2-3 weeks which is pretty great.